I know some of us are being sick after so much optimization their Blogs but in a result they got nothing mean all the efforts they do are waste in the SEO score. In the previous serious of my Blogging ideas and SEO tips I have share some articles for the best Blogging optimization to get number one rank in the search engine results. Here I will share some SEO tips for getting high number of unique visitors and become the number one in the most popular search engines. There are thousands of Blogs who offers same subject, same matter and same contents but why some are on first page of the search engines even one of them on the number one?? So here are the few SEO strategies for getting unique visitor and become the number one in Search Results. Create Quality and High PR Backlinks. One of the major issue on the platform of SEO, but most of us don’t know what is it and how to be safe from this issue. Check the following given below links. This is another method playing great role for improving Search Engine Ranking, there is so many High PR Blogs so if your Blog is linked with any High PR Blog or one of your post as Guest Post is shared on the High PR Blog and you are receiving traffic via that link it will help you to become top in the search result. Check this post for Making Free High Quality backlinks and being practicing that method will generate great organic traffic for your Blog that is why making High PR Backlink is more important for your niche. 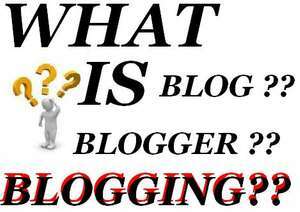 I have also personally checked, few Blogger forget to optimize their Post URL. Always try to shorten your Post URL by reducing such extra categories and insert the may targeted keywords in your post URL such as http://yourblogname.com/categories/month/year/p=?125 and change it by removing http://yourblogname.com/your-post-name/ in the url you must use the targeted keyword of your Blog post. If you are Blogger user there is option of Permalink in right side of your post editor where you can change post URL easily and for Wordpress Blogger check the given below steps. Now click on the Custom structure and insert add “/%postname%/” (without quotes). Check below Screenshot. For reducing bounce rate and make your visitors busier in exploring your Blog you have to interlinking your older post. Check out my previous article for interlinking benefits for SEO. This is the way to inform search engines robots and crawlers about your contents. Before writing any article must collect a very huge collection of the keywords for the your subjected topic and check the monthly impressions of every keyword then start using those keyword in your article but always focus on the keyword density don’t over use your targeted keywords and then give a specific Meta description to your post for understanding search engines about your article.